Intersection Crossover Wooden Track. 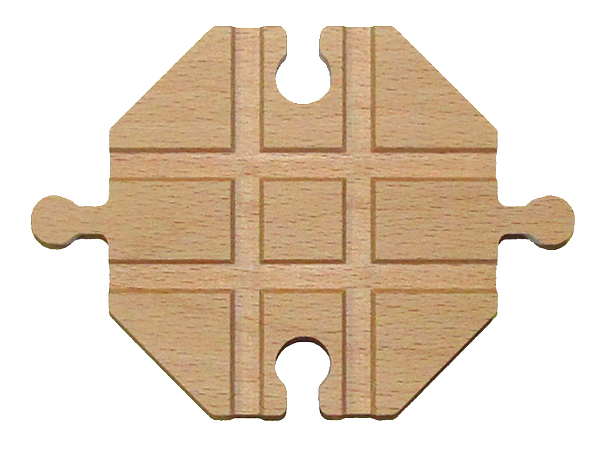 A centerpiece to your wooden track layouts. Essential to making figure 8's or any complex layout. Made of solid Beech hardwood. Crafted by hand & sanded smooth, the quality of these wooden tracks are of the highest standards for size & fit. Wooden trains run very smoothly on these tracks. Compatible with Thomas, Brio, & many other fine brands on the market.